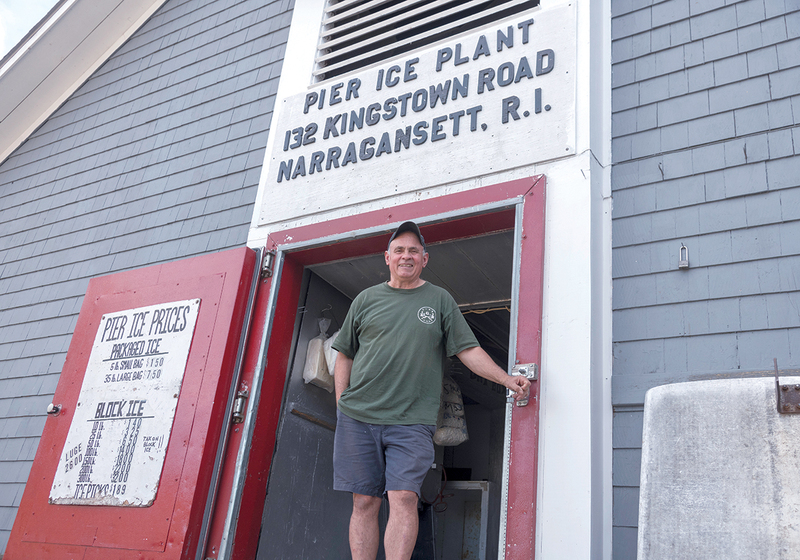 Owner of Pier Ice Plant in Narragansett and a Narragansett Indian Tribe member, Shumate says he was lucky to grow up in a family that owned its own business. “The day my dad showed up here … I don’t think he had two nickels in his pocket,” he said. Over the decades business has been healthy enough for Shumate and his wife to achieve their financial goal: paying their sons’ tuitions – one to Brown University and one to Northeastern University. Yet he knows his economic success is far from the norm for many members of the state’s only federally recognized tribe. Access to resources such as bank loans, collateral, a professional network and college education remains a hurdle, he said. It’s a similar story for many other Rhode Island Native Americans. Despite a historical presence in the state that predates European settlements and ongoing cultural celebrations that include powwows, tribal leaders believe their members remain a largely untapped economic resource. But with no state agency designated to work with them, those dealing with socio-economic disadvantages that include poverty and limited education are often left to find work with other Native American-owned businesses. Shumate, for example, has employed Narragansett tribal members at various times since the 1960s. He estimates having hired roughly 20 Native Americans – including three this past summer – since then. 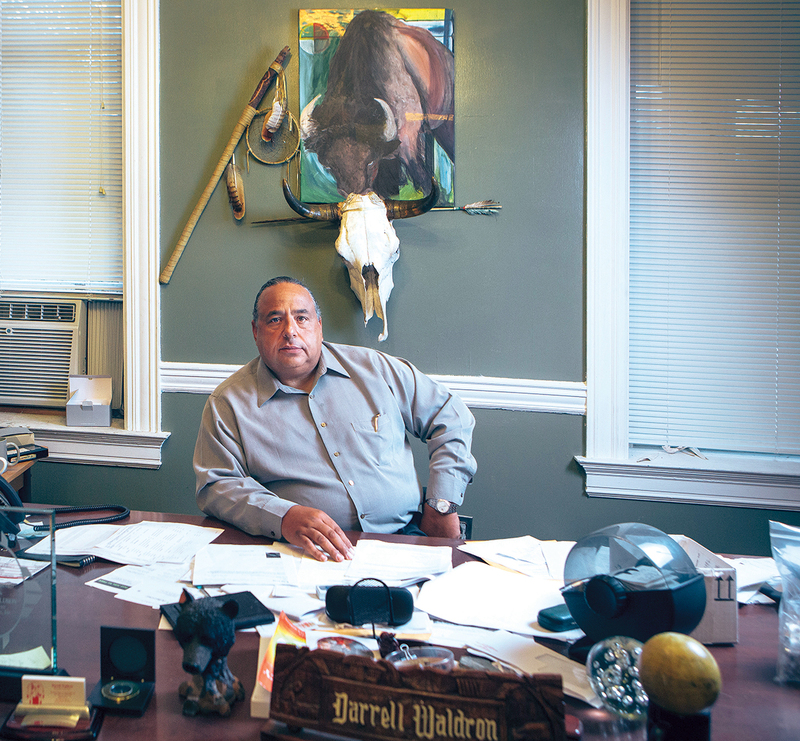 “It’s a struggle for young, native people if there isn’t a family business,” said Darrell Waldron, a multitribal Native American and executive director of the Rhode Island Indian Council, an urban council serving the needs of local residents. A 2015 R.I. Department of Health report using 2011-2013 data found nearly half (42.2 percent) of Native Americans in the state live in poverty and 26 percent are unemployed on average – almost triple that of the state (then 9.7 percent). The RIDOH findings reported Native American households netting nearly one-third the amount of income as white households – $21,476 versus $60,140. Waldron thinks it is time for a commission similar to one set up in 1976 that lasted for a decade to address issues affecting Native Americans. There is currently no state entity to address Native American concerns. His “wish list” includes a similar body tasked with making the community aware of federal grants with money “set aside” specifically for Native American use. The 2000 U.S. census reported 4.1 million American Indians or Alaska natives, either alone or combined with another ethnicity – 1.5 percent of the total population. Rhode Island was then home to 10,725. Nationally, this demographic grew to 5.2 million (1.7 percent) by the 2010 U.S. census count and totaled 14,394 in Rhode Island. Along with a growing number of people identifying as Native American has come a jump in small Native American-owned businesses in the state, though the overall total is still limited. The 2016 U.S. Small Business Administration’s Rhode Island small-business profile measured a 70.4 percent jump in those businesses between 2007 (395) and 2012 (673). But Mark S. Hayward, district director of the Rhode Island SBA office, said the significant increase may be at least partly due to more people identifying as Native American. The SBA’s 2017 Rhode Island Small Business profile found that those 673 small Native American- or Alaska native-owned businesses represent less than 1 percent of the state’s 98,134 small businesses. The percentages are also less than 1 percent in Massachusetts and Connecticut. In the Bay State, the SBA found roughly 2,800 of the state’s 639,334 small businesses are Alaskan- or Native American-owned. In Connecticut, roughly 1,700 of the state’s 339,231 small businesses are Alaskan- or Native American-owned. Federally recognized tribes in some states, including Connecticut, have been able to turn to casino gambling on tribal lands to create jobs and improve economic conditions for tribal members. But the Narragansett tribe has been denied that opportunity by voters on multiple ballot measures dating to 1994. Unlike other federally recognized tribes, the Narragansetts’ 1,800 acres of settlement land in Charlestown is subject to state regulation. The tribe lost a legal challenge to Rhode Island’s regulation of its settlement land following the state’s 2003 raid on a smoke shop where the Narragansetts were seeking to sell unstamped and untaxed cigarettes, as other tribes did at the time. Since then the tribe, which the 2011-2015 American Community Survey estimates at approximately 1,500 members, has had little success using its settlement land to generate significant economic activity. Cassius Spears, first councilman of the Narragansetts, blames the tribe’s lack of sovereignty over its settlement land for its inability to create significant economic opportunities. “[It] holds us back on a lot of fronts,” Spears said of the 1978 agreement that left the settlement land subject to state regulation. The tribe’s strained relationship with state and municipal authorities was again in the news last month, after it entered into an agreement to offer water from an aquifer for a proposed Burrillville power plant. The deal wasn’t discussed first with Charlestown officials, who have been granted a hearing to outline their concerns before a state board considering the power plant. Spears declined to say how much federal money the tribe gets each year. A spokeswoman for the U.S. Department of the Interior, which manages the federal Bureau of Indian Affairs, did not immediately respond to requests for comment. However, a 2014 audit of the Narragansetts’ federal funding found multiple streams totaling $2.7 million, as well as a contested $2.5 million deficit, according to a 2016 WPRI report. A 2016 Providence Business News article reported a $549,780 U.S. Department of Housing and Urban Development affordable-housing grant was awarded to the Narragansetts in February 2016 to fund housing development, crime prevention and safety. Spears estimates tribal services employ close to 50 of the roughly 1,500-member nation. He claims historically high unemployment, along with high rates of depression and alcoholism, were “products of colonization” that led to economic “cycles of dysfunction” the tribe has yet to overcome. While he recognizes casino-scale revenue could alleviate many of the nation’s economic problems, Spears also emphasizes plans to create other avenues to economic sovereignty. For example, he said, a need for “food sovereignty” led to the cultivation of a roughly 40-acre farm growing heirloom indigenous crops and a share in a local seafood co-op managed by the Narragansetts. Spears’ aunt, Lorén (same last name), is executive director of The Tomaquag Indian Memorial Museum in Exeter and a member of the tribe. The nonprofit is unaffiliated with the Narragansetts, who she’d like to see focus on developing a professional network to help target unemployment. There is no professional network in the Native American community, she said, because there are so few jobs generated by its members. And unemployment is so high because the community doesn’t generate jobs. “Just like how the Rhode Island government cannot employ all citizens, tribal governments can’t employ [everyone],” said Lorén Spears. Besides the Narragansetts, the state is home to a handful of other small, unrecognized tribes and loosely organized Native American groups. Raymond “Two Hawks” Watson, chief of the Mashapaug Nahaganset tribe, said economic independence for local tribes is “ultimately tied to land.” That was the issue at the heart of a recent encampment by another Rhode Island tribe, the Pokanoket nation, on 375 acres in Bristol owned by Brown University. Starting Aug. 20, and lasting 37 days, the Pokanokets encamped on land that includes the Haffenreffer Museum of Anthropology. During that period, in a move to demonstrate sovereignty and economic independence, they restricted access to the public and demanded ownership of land they say belonged to ancestors be ceded to the group. The encampment ended Sept. 25 with a compromise: Brown will transfer a yet-to-be-determined amount of the land to a trust that will be managed by the Pokanokets and other local Native American groups. 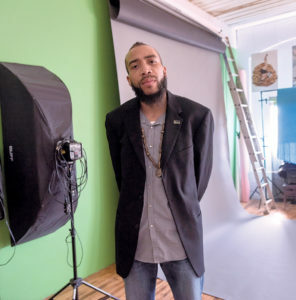 Watson was a 2016 Rhode Island Foundation Innovation Fellow, for his idea to create the Providence Cultural Equity Initiative. Tapping the El Salvadorian, Cape Verdean, Italian, Portuguese, French and Native American populations, PCEI’s goal is to promote cultural tourism – visiting another country to experience its way of life – to bring visitors to Providence. That, in turn, would create economic opportunities for local minority communities. He hopes his involvement with RIF serves as a “tangible example” of what’s possible for Native Americans and other minorities in the greater economy. He doesn’t like the idea, however, of following in the footsteps of other Native American tribes operating casinos. “We’re not casino Indians,” he said. Success of organizations such as The Tomaquag museum that strengthen Native Americans’ ties to their culture and heritage while creating beneficial economic stimuli are especially important, he said. “Culture is a great economic driver,” Watson said, adding Native American events can be used as a weekend selling point for families and millennials. 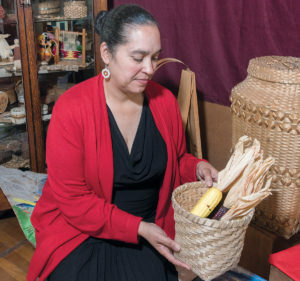 Given the right capital investment, Rhode Island’s Native American community is an untapped economic resource, says Rhode Island College anthropology professor and Native American cultural specialist Pierre Morenon. While they have the “intellectual, human and organizational capacity” to excel in business, Morenon called for more “bottom-up” support from the state, local entrepreneurs and the banking community. Waldron, whose parents helped form the R.I. Indian Council, said the regional Native American community relies on the organization as a pipeline, or at least training, for what jobs do exist. In Rhode Island, the most popular requests are for information on certified nursing assistants, registered nurses and machinist, welding, carpentry, masonry and plumbing programs. A council- and Governor’s Workforce Board-funded carpentry-skills program exists to train unemployed Native Americans, but, says Waldron, there aren’t enough jobs to go around. Like Watson, Lorén Spears sees hope in the success of The Tomaquag museum, which educates the public about historical and contemporary indigenous life and culture. “I grew up in this museum,” she said, noting her mother was the director before her. The museum consigns work by 17 Native American artists. Admission and gross sales of artists’ work have grown steadily, she says, though the numbers remain modest. Visitors in fiscal 2017 totaled 1,591, a 77 percent increase from the 898 of the previous year. The museum employs seven (including six Native Americans), mostly part time. The Tomaquag also provides economic outlets to local artists and educators through its events and programming. In addition, its Indigenous Empowerment Network serves as an employment and training resource for the Greater Native American community. The group curates a list of events and opportunities for Native Americans to showcase their talent or grow their careers, hosts a free Science, Technology, Engineering, Art and Math STEAM camp for youths aged 9 to 15 and manages the Narragansett Youth Art Contest. 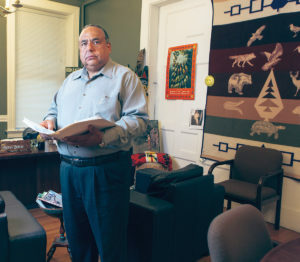 But the need for such services statewide goes well beyond the ability of the museum and other small entities to meet it, said Spears, who taught a one-time indigenous-literature course at the University of Rhode Island in 2014. “The staggering thing is that it is 2017 and the indigenous population in Rhode Island is the most impoverished demographic in the state,” she said.